Label head honcho Para X steps up on remix duties delivering a true Para X classic adding a more driving bass and that little someting that makes every Para X track so special. Early support from Aly and Fila amongst others, this is going to be another biggie for the label. 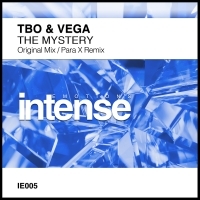 'The Mystery' is available now from Beatport and iTunes.